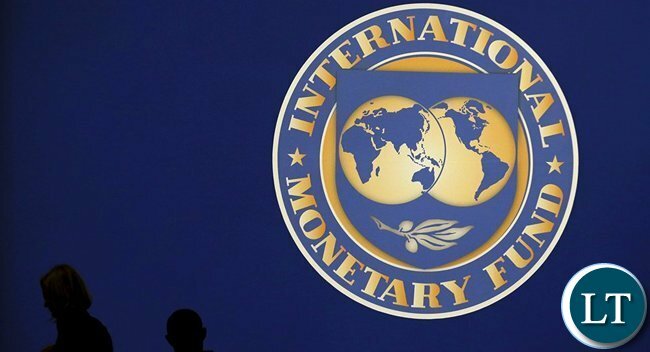 The International Monetary Fund has again failed to approve an economic recovery programme for Zambia. The Zambian government has been hoping to sign an economic recovery programme with the IMF since December 2015. The programme is hoped will come with a bail out package of around US$1.3 billion. This week, Ministry of Finance Permanent Secretary Mukuli Chikuba announced that Zambia was hopeful that progress towards an economic bail would be attained during this week’s IMF/World Bank Annual meetings in Washington D.C. But the IMF in a statement on the 2017 Article IV consultation released on Tuesday has made no fresh commitment to entering into an economic recovery programme with Zambia. And IMF’s Resident Representative in Zambia Mr. Alfredo Baldini said in a statement that no agreement has been reached on an IMF supported program for Zambia. “The discussions on a possible program were put on hold in August, and IMF staff proceeded to prepare a report on the 2017 Article IV consultation with Zambia which was discussed by the Executive Board on October 6,” Mr Baldini said. Mr Baldini said the IMF staff will be meeting the Zambian delegation at the IMF-World Bank Annual Meetings to discuss next steps. “No substantive program discussions will be held at the Annual Meetings,” he said. And in its 2017 Article IV consultation statement, the IMF said Zambia’s public debt has been rising at an unsustainable pace and has crowded out lending to the private sector and increased the vulnerability of the economy. The Fund said the outstanding public and publicly guaranteed debt rose sharply from 36 percent of GDP at end-2014 to 60 percent at end-2016, driven largely by external borrowing and the impact of exchange rate depreciation. The IMF Directors expressed concern at the pace at which public debt, especially external debt, has increased and now put Zambia at high risk of debt distress. They however commended the progress made in developing a medium-term debt strategy. The IMF says it is critical to slow down on the contraction of new debt, especially non-concessional loans, strengthen debt management capacity, and improve project appraisal and selection processes. On October 6, 2017, the Executive Board of the International Monetary Fund (IMF) concluded the Article IV consultation with Zambia. The near-term outlook for the Zambian economy has improved in recent months, driven by good rains and rising world copper price. The economy was in near-crisis from the fourth quarter of 2015 through most of 2016, reflecting the impacts of exogenous shocks and lax fiscal policy in the lead up to general elections. Low copper prices reduced export earnings and government revenues, while poor rainfall in the catchment areas of hydro-power reservoirs led to a marked reduction in electricity generation and severe power rationing. A sharp depreciation of the kwacha fueled inflation which rose from an annual rate of 7 percent in mid-2015 to nearly 23 percent in February 2016. Tight monetary policy succeeded in stabilizing the exchange rate and slowing down inflation to 6.3 percent in August 2017, but contributed to elevated stress in the financial system evidenced by a sharp rise in nonperforming loans and a plunge in the growth of credit to the private sector. Stress tests suggest that the banks are resilient to credit and liquidity pressures, but the financial system faces considerable risks, owing to high dependence on copper exports, rising public debt and funding pressures. Fiscal imbalances have remained high. The fiscal deficit on a cash basis reached 9.3 percent of GDP in 2015, twice the budgeted level. On a commitment basis—taking into account accumulation of arrears and delays in paying VAT refunds—the deficit exceeded 12 percent of GDP in 2015, and remained elevated at about 9 percent of GDP in 2016. The deficit on a commitment basis is projected to decline significantly in 2017, but the cash deficit will remain elevated as the government clears arrears. Public debt has been rising at an unsustainable pace and has crowded out lending to the private sector and increased the vulnerability of the economy. The outstanding public and publicly guaranteed debt rose sharply from 36 percent of GDP at end-2014 to 60 percent at end-2016, driven largely by external borrowing and the impact of exchange rate depreciation. Increased participation of foreign investors in the government securities market has eased the government’s financing constraint but has made the economy more vulnerable to swings in market sentiments and capital flow reversals. The medium-term outlook for the economy is contingent on policies. Real GDP growth has picked up after a marked deceleration from 7.6 percent in 2012 to 2.9 percent in 2015. Growth is projected to reach 4 percent in 2017. However, achieving sustained high and inclusive growth requires a stable macroeconomic environment as well as policies and reforms to increase productivity, enhance competitiveness, strengthen human capital and support financial inclusion for small and medium scale enterprises. Domestic risks to the outlook include delayed fiscal adjustment which would continue to crowd out credit to private sector and entrench an unsustainable debt situation, and unfavorable weather conditions which would affect hydro power generation and agricultural output. External risks include tighter global financial conditions and volatility in the world copper price. Executive Directors welcomed the recent improvement in Zambia’s economic outlook. However, Directors noted that domestic and external risks pose significant challenges. They advised the authorities to take advantage of the current favorable conditions and implement decisive and prudent macroeconomic policies and reforms to place public finances and debt on a sustainable path, build international reserves, increase the economy’s resilience to shocks, and achieve higher and inclusive growth. In this regard, they welcomed the launch of the Economic Stabilization and Growth Program and the Seventh National Development Plan. Directors commended the authorities for taking strong measures to phase-out regressive fuel and electricity subsidies, and for scaling-up spending on social protection programs. At the same time, they noted that achieving the government’s fiscal consolidation goals will require stronger efforts to increase domestic revenues, including by addressing widespread exemptions and broadening the VAT and income tax bases. Directors emphasized the importance of containing recurrent spending, improving commitment controls, phasing out subsidies, and strengthening public financial management. Directors expressed concern at the pace at which public debt, especially external debt, has increased and now put Zambia at high risk of debt distress. They commended the progress made in developing a medium-term debt strategy. While recognizing the need to address infrastructure gaps, they emphasized that to maintain debt sustainability, it is critical to slow down on the contraction of new debt, especially non-concessional loans, strengthen debt management capacity, and improve project appraisal and selection processes. Directors welcomed the recent easing of monetary policy. They commended the Bank of Zambia (BoZ) for unwinding the quantitative and administrative measures it had used to tighten monetary conditions. Directors underscored that greater reliance on interest rates and market mechanisms would enhance the transparency and effectiveness of monetary policy. They stressed that credible fiscal consolidation is necessary to sustain the current monetary policy stance. Directors emphasized the importance of safeguarding financial stability. They welcomed BoZ’s positive response to implementing the Financial Sector Assessment Program (FSAP) recommendations, including taking steps to strengthen supervision capacity and the crisis preparedness framework. Directors endorsed BoZ’s plans to complete on-site inspection of all banks within 12–18 months, and advised the BoZ to take action to address weaknesses that may be revealed. Directors encouraged the authorities to accelerate the process of revamping the BoZ Act, to give the central bank more operational autonomy while enhancing its transparency and accountability. Directors emphasized that macroeconomic stability, policy consistency, and investment in human capital are critical to addressing Zambia’s high rates of poverty and income inequality and promoting sustainable growth. They encouraged the authorities to address policy uncertainties that are clouding the investment climate, including clarifying the roles of the state and the private sector in the energy and agriculture sectors. When you don’t listen to farmers union on issues like the maize floor price instead listen to the fake advice of the likes of Dora and Mutati this is what happens! We said it some time back! Continued high expenditure of top govt officials is the major allocation of the wage bill at a great cost to the budget, mines continue to run away with billions, we have a fake system that makes doing business in Zambia the most difficult in the region. These are the issues we have said and the people at the top have failed to listen! Issues of governance clearly had a bearing on this decision (vindictive arrest of HH and other legal misadventures). And anyway, you do not solve a debt challenge by borrowing more. So PF finance minister et al, just get with the programme and if you do not have one, create a debt repayment plan that does not choke the life out of already suffering Zambians. Perfect! This is good news! This is what happens when you let thiefs run the country….the international community is watching….#Bring back our $42 million….corrupt government. Did we not tell you last year that IMF is not that careless to bail out thieves!! In simple terms, IMF is saying, ECL government is spending too much on travels. Cost savings should start with ECL by stopping external debts to finance his lavish travels. Secondly, he should slow down on some of these projects like buying firefighting trucks for 1millin USD dollars each as though Zambia was the richest country on earth. If a rich country like UK can buy same trucks for 300k, why the he.l.l. a poor country like Zambia is so foolish to buy them at 1million each. Even if the government claims there is no corruption involved, then Zambian people have a reason to wonder what type of people do we have to deal with taxpayers money so careless. Good decision by IMF. They are fully aware that any loans will go straight into the pockets of Jonathan and his corrupt ministers. Bravo IMF!!!! Zambians needs to wake up and kick these thieves out of office, and into prison. Here we have an imitator calling himself ‘Voice in the wilderness’. Do not confuse my fully researched contributions with his. Remember “Voice from the wilderness” as original. And the Zambian Gov’t tried to preempted this statement by the IMF with their half baked story titled “No Eurobond this year but we will borrow K11.2 billion domestically-Mutati”. In this day and age someone in Gov’t would still think it possible that information can be hidden from the people. It was only a matter of time, in this case a matter of hours before the truth came to light. And the majority of Zambians who commented on that story pointed this fact out. This marks the start of Kwacha depreciation to a Pound, US$ and other foreign currencies. I am sure HH and all the UPND cult followers are declaring victory, forgetting that none of the fat bellied PF, UPND stalwarts and all of you in diaspora will be affected by this. Your banja will suffer even more. Then UPND will rise up like a big chunk in a septic tank pretending to come to the rescue. Just to eat more and further plunder the merge livelihoods of your poor relatives. There is no victory here, just a clear manifestation of the selfish and mediocre politics at play in Zambia. And you chaps in UPND are busy ululating, expecting UPND to be any different from PF when in power. Remember the likes of HH -RAMCOZ, GBM(GBV), Mulongoti (kuwayawayafye) Mumba (Never succeeded at anything in politics), and now Kambwili a looter are still at the helm of Opposition and politics in Zed. That is why you have failed the economy.What has UPND got to do with PF’s collosal failure?You must have been very dull in class.If comments could be graded out of 10 i could give you 1 for the effort. Would Zambians please wake up from their deep sleep and see these punks in govt for who they really are! They are known as money shredders in Washington! Chartering planes! The alarm bells should have rung when a thief was elected as president and a finance minister from a previously corrupt MMD govt was appointed! A deadly combination! Now even the loan shark is scared of giving them any more money. Good riddance. IMF is Shylock. They will want your Pound of flesh! Stealing what we have borrowed is the art we have perfected. We cry just so we can dry-up the coffers. We are too quick to land our hands on that which lands in our pockets, irrespective of which land it hails from, irrespective of who it is who has given it to us. Shame on us. Shame on Zambia; indeed shame on Africa. And yet GRZ was glad to give free land to AfDB to bring us even more debt stress.Reckless chakolwas in charge. Learn what AfDB does first. It has saved a lot of African countries from total collapse. They have different lending instruments including the interest free ADF loans and grants. They have a classification system for countries so that if you’re highly indebted and poor, you’d only qualify for ADF funding. They are very responsible, even more responsible than some of your own governments. They cannot give you an ADB loan that carries interest when they know you’re struggling. They’re actually good for Africa. Really laughable…you think AfDB is a charity organisation…do you know what that word “Development” stands for? This is the BEST news ever to come out this Government and IMF/Wold Bank dance. IMF/World Bank are evil. Trust me , you don’t want them on your back. Now is the time to seal all those wastage loopholes of holding meaningless events and meaningless travels and mobilise resources within and plug that $1.3 billion hole. It can be done. Also take a serious look at the mines. Their 4 % contribution to the economy is a joke. If we raise it to just 10%, we would not need this IMF bailout. Sorry you don’t see the corruption. Mopani is not paying any new electricity tariffs for 40 years because PF and lungu got bribes for elections in 2015….and in anycase if Zambian goverment can sanction spending $1 million on a firetruck that costs $380 k , zambia does not need a bailout. On the contrary this is a blessing in disguise. Loans don’t build they instead destroy economies. Ndanje khakis – We have heard your tune before its all sour grapes …you are the selfsame people supporting constructing mere tarmac for $1.2 Billion via a Chinese EXIM Bank loan with no value addition to economy. Did we not tell you that IMF was not going to issue you reckless fooools a bailout back in December…honestly who in their right minds would give such a useless unaccountable bunch of reckless morons a loan….it would be irresponsible on the part of the lender likening to employing an alcoholic in your liqueur store. Did we not tell you that IMF was not going to issue you reckless fooooools a bailout back in December…honestly who in their right minds would give such a useless unaccountable bunch of reckless moroons a loan….it would be irresponsible on the part of the lender likening to employing an alcoholic in your liqueur store. Did we not tell you that IMF was not going to issue you reckless fo*ls a bailout back in December…honestly who in their right minds would give such a useless unaccountable bunch of reckless mor*ns a loan….it would be irresponsible on the part of the lender likening to employing an alcoholic in your liqueur store. In simple terms, IMF is saying, ECL government is spending too much on travels. Cost savings should start with ECL by stopping external debts to finance his lavish travels.Secondly, he should slow down on some of these projects like buying firefighting trucks for 1millin USD dollars each as though Zambia was the richest country on earth. If a rich country like UK can buy same trucks for 300k, why the .h.e.l.l. a poor country like Zambia is so foolish to buy them at 1million each. Even if the government claims there is no corruption involved, then Zambian people have a reason to wonder what type of people do we have to deal with taxpayers money so careless. I thought the president of Zambia, Edgar said that he doesn’t need the IMF bail out package during the same comedy press conference he invoked article 31. With the 1 million dollar fire trucks and the other billion for Lusaka – Ndola highway at inflated figures did you think the IMF is unaware. Zambia does not need IMF. Someone has to show me a country that has prospered because of IMF nkongole. The PF govt should check on its senior official travels and expenditure. Stop corruption in tender processes. Invest in agriculture and support medium and small scale farmers. etc. How can you say that?Offcourse we never needed the IMF before this pack of jokers landed in 2011.We need it now because of the damage they have caused and continue to cause in unbridled greed and their pursuit of vanity.So stop preaching to the converted.Go tell your president that releasing Kamba and others to make careless statements bordering on threats does noty only scare away investors whom you so much need but also gets to the ears of responsible organisations like the IMF. Thank you IMF don’t please lend these thieves any penny, it will all end up with Bokani and Avic. About time Zambia stood on it s own feet. The tax paying Zambian is going to be pushed to the limit now. All those globe trotting huge entourages will have to be paid by us. This is clearly a motion of no confidence in the Minister of Finance and huge blow to Zambia as the cost of finance from international lenders is definitely going up, not to mention that foreign investors will also withhold major investment. The IMF is short of saying the Zambian economy has hit junk status. Honestly speaking President Lungu needs to replace Mutati for deceiving him for a year on a fake economic programme. Whilst President Lungu has been travelling, Mutati has been busy stealing through dubious deals at IDC, with the likes of Lawrenece Sikutwa and Robinson Zulu. Not to mention the blunder of Mutati giving conflicting statements on the country’s debt situation and launch of US$1.2 billion dual carriageway….Mutati has to go. Only in Zambia can a Finance Minister openly lie without no shame at all…Christian Nation my foot. Zambians need to replace this i***** LUNGU who has no clue on the economy and is busy stealing, partying and travelling on BORROWED MONEY while the economy goes into the ditch! Now he will be surprised when mealie meal is K300 a bag and the Kwacha is K50 to the US Dollar and Zambians are very ANGRY. We older people have seen this before under KK. Too bad the youth still have lessons to be learned. Thank God the actual statenent by IMF has been quoted. The headline and conclusions by the writer of article by LT is completely misleading as IMF has not made that conclusion. We await the outcome but to me the analysis by IMF suggests that they think there is a case to help Zambia overcome the stress. Obviously if you are a failed political economist like Hakambwili Hichishimba, you would be hoping not to help your country because you believe thatis the only path for you to state house. Demons at work in UP.NDonkeys……kikikikiki……..
@Terrible – Its very difficult for you to understand when someone is politely telling you to p*ss off….I am sorry BUT I have neither the time nor the colour crayons to draw pictures to explain to you!! Just cut out these useless middlemen, they borrow from China and make poor countries offset their interest which they lend at extortionate rates. Let’s talk to the African development bank or go directly to the main lenders, the Chinese. Zambia can raise more than $2 billion in a year if we had responsible leaders at all levels. This get rich quick culture will destroy this beautiful country. Let us add value to our resources and build our country. You seriously think AfDB can afford to lend you $1.2 Billion for bailout …really laughable…maybe that’s why you gave them free land. Why not? You think Africa can’t afford to come up with $1 billion? This is the problem with African mentality. Your government announces that they will build a road costing $1 billion, no questions asked but when it comes to IMF, you drop everything. I have been questioning that valuation of a road costing $1 billion dollars; do you even know what AfDB does and why its there for? You want to lecture to me about mentalities…what happened to tightening your belts all that money you are using to renovate MPs brothels save it to pay debt. Well, please tell us your version of AfDB? I’m not sure what your point is exactly. The point I’m making is, why should we compromise our sovereignty with the IMF for trivial amounts that can be raised locally or with the assistance of our African friends on the continent? why should we be lectured by the likes of IMF who give loans with strings attached when African mines are busy making the same IMF rich? Zambia needs to invest in infrastructure but doing so requires sensible leaders. Late President Mwanawasa was one such leader that showed us that we are not as poor as think we are. This was predictable. The failure to disclose $3.2 billion foreign debt, Corruption, lack of respect for Rule of Law,Good Governance, Constitutionalism and Human Rights were IMF Deal Breakers. Mutati is talking of repaying and servicing the Eurobond using domestic loans becoz he knew there was no IMF Loan to re-finance the Eurobond. There is no domestic capacity to borrow ZK11.2 billion so Zambia is heading for an economic crisis. We said it b4 that after stealing the 2016 Election Zambia under Dictator and Sadist Lungu is doomed.Without IMF Loan the Kwacha is bound to depreciate sharply and Zambia will default on the Eurobond. Wait and see. These are the reaults of persecuting political opponents and declaring unnecessary semi-state of emmergency, flying all over the world and spending meager amounts on useless fire trucks. Donors are watching and they have every reason not to trust PF government. Anyway someone is mixing sand to Chibuku ,says Pilgrim. I cant wait to see them renew the state of emergency we see where it shall take them.Very soon even the teargas they are abusing will run out. If you are not prudent and spend a million dollars on a single fire tender, it is obvious that you will be in debt after debt. And if you want to pretend to be a smart Finance Minister but you are clue less, that is what happens. IMF is smart, they do a proper due diligence. You have a President who tells people to bring evidence of corruption when its clear there is no way a fire truck can cost $1million…I mean one single truck that looks like a secondhand truck!! Only An ***** buys a wreck of a fire tender at 1 million dollars, in fact 42 of them, then turns round and proceeds to attempt to borrow more than a billion. These clueless PF mandarins thought that running the Zambian economy was like running a roadside kantemba.IMF should hammer them hard. What makes you think that IMF is not involved in the corruption? This is why they come and tell you what to do. Corruption can only be stopped by the Zambian people. We need to realize that our destiny lies in our own hands. Only the Zambian people can stop the rot, outsiders don’t don’t give a monkey, in fact they prefer us to be disjointed so that we can create an easy passage to our resources. Clearly the IMF has seen that If the GRZ can sanction paying $1 millon for a fire truck that costs $380 k, 42 times, they do not need help. The Zambia + recovery fimo fimo is utter gibberish that was meant to sway Zambians into believing that Mutati would resuscitate our economy and put it on recovery path. Alas the opposite is true and the IMF has not left any stone an turned and have given their honest and most eloquent opinion. The fact that this PF directionless boat has been contracting debt at an alarming rate which ends up being misused into minions pockets has left the multilateral Institutions with no options but to deny us the 1.3BILLION dollars. There is no way that this corrupt infested administration can get away with IMF money which will end up being looted with impunity. Corruption has been a major contributor to this denial shame. Well done IMF: Even in our Villages any person who borrows every time is not respected. Similarly the world at large: They is Copper , Gold at Kansanshi, emeralds kwi Lamba. where do we take these minerals: God has given this wealth to Zambians. Each country has been given accordingly. Lesa Tatupata iyo, Imibele yesu Tatutotela kuli Ba Yahawee abene ba mushili: We are bad Stewards. People that gave power to PF are bad stewards of our children’s country. allo can someone help me understand something here. Constitutionalism and Human Rights? To make matters worse Lungu and his criminal Advisers concealed the Foreign Debt Stock and embarked on grand Corruption. Next year Zambia will default on Eurobonds becoz there is No IMF Loan and the Domestic Money Market has no capacity to lend ZK11.2 Billion. There are no such savings. Mutati will have to print the Kwacha which is highly inflationary. Domestic Interest Rates will rise and the Kwacha will sharply depreciate. Lungu will regret stealing the 2016 Elections. U reap what u sew! !The writing is on the Wall. Lazy Lungu I told you so …enjoy your next flight!!! if you cant get debt finance there other options such as better management of what you already have.. many successful people were denied nkongole by the bank.. it makes you think better.. I personally recovered from debt through my own strict financial strategies… We just need to think outside the box. Congrats UPND you must feel good but I think it calls for strict management and arresting of these thieves we have in government. I think we can save alot of money if we curb bakawalala mu government and other wasteful expenditure. Hello we have PF in power and you talk of thinking better?Have you just gotten off the bus.thinking better is one thing PF are not reknown for.Try sycophancy and such they are best. u5 Danced whole night and drunk chibwanatu. if you think u5 hope is misguided press RED. If you think he thrives on the suffering of masses as Trump card press GREEN. After seeing the corruption and galavanting by lungu, next to withdraw will be donner countries….they can see lungu and his gang are busy enriching them selves With corrupt deals while silencing opponents with violence and state institutions.. ..just the other day kapoyongo cancelled a scheduled talk appearance by HH on Christian radio for fear of being asked about the corruption in the fire tender deal..
Let us teach our children that when you live beyond your means, steal from others and live a dishonest life, the outcome is usually really sad. Not a good idea relying on credit cards either !! Now is the time for this government to start looking at cutting some useless expenditure and to give back what belongs to the Zambian people. We know that certain greedy individuals have stolen within a short period of time, more like from rags to riches as soon as they enter government. Well done IMF , what a good analysis ! Kwacha will depreciate further in 2018, see me for financial investment advise! ! @9.1 MMD chief bootlicker, I have read your comment that the IMF discussions were put on hold in August…….So is this month August? Now read what I wrote. The IMF is reporting developments after August aren’t they? The barometer of investor sentiment is the interest rate investors ask for when trading our eurobonds. It spiked last year to 14% now its around 7%. Yes we have a debt problem at 60% of gdp. But developed countries like USA UK China etc are at double or even triple these levels ! Do also know that those countries you mention are economic manufacturing superpowers ??? Definitely we don’t need them, just expedient building of toll fees in every town plus increased taxes, permit and pass port fees, etc. money is right here in Zambia. If they can’t lend us will go director to their financiers – China which does not come with a lot unnecessary conditions. China has bought/ leased everything they can buy or lease from PF ….the only thing left to lease to the Chinese are national game parks …..
Kaunda showed us the route we ignored.Let’s look east people.Let us look to China and get concessional loans from there.F IMF! Is that all you know ? Looking for loans ? …rebounding, the outlook seems bright and the IMF looks eager to step in. IMF not releasing money now is not a sign of a failing economy or govt., it is a challenge to the economic managers to put those fundamental recommendations in place! Are you ok ? What makes you think they look egar ? And if the outlook is so bright Zambia does not need the IMF with so many lenders out there , does it now ??? @Spaka: unlike you who always sees the negative side, the IMF has recognised the gains the govt. has made. You can see for yourself above. Tell me spaka, which country has successfully built infrastructure without borrowing??? For example right now, the country needs a strong railway network to ease the pressure on our roads to carry heavy goods and passengers, how is that possible with our meagre budget??? That’s where cooperating partners come in, the IMF to specifically help plug holes in our monetary systems. Tell me, you are aware that Europe after WWII was literally rebuilt on credit using the Marshal Plan, no??? We all know we need a first class railway system, but looks like your PF are more interested in an airline ? Things are now falling apart in Zambia. Stolen Elections,Corruption,lack of respect for Rule of Law,Good Governance, Constitutionalism and Human Rights etc. Under Dictator and Sadist Lungu Zambia is now doomed. Next year Zambia will default on the Eurobond repayment without a Re-Financing Bailout Package from IMF. Very soon the Zambian Kwacha will sharply devalue and prices will skyrocket. Lungu and Mutati have no answer to this apart from amassing wealth thru corrupt deals. Under visionless Dictator and Sadist Lungu Zambia is doomed. But why is this news good for UPND?i wonder why upnd get excited with such negative news about Zambia!! Which normal kid would wish his home hell?NOBODY! !indeed upnd followers are cursed. IMF can go to hell as China is there to help out our country.moreover,our economy is now back on track so no need to even get this loan from IMF-period. IN 2021 NI PF NAFUTI NAFUTI!! BaNjimbu. Today’s kids know more than just parroting. Mine are aware what Lungu is failing to do. Yours must be very dull and are not able to use the internet. Guide them to be useful citizens. Parroting ”nafuti nafuti” will fail you soon. Cont’d .. being a Republican President. I did NOT sign up to work hard and pay my Tax to lend to a Govt led by someone who suspiciously avoids at all cost, Press conferences to clarify the state of the nation. Speak for yourself. That is what people used to say about Michael Sata – he will never rule Zambia, he will never rule Zambia…well, he did eventually. You are not God. It is just a matter of time before we get into an economic melt-down. To hear IMF giving such an openly negative statement about Zambia is very worrying. Tellingly, it shows very clearly that our debt burden ballooned immediately PF got into power. Something is wrong somewhere, and it is no laughing matter. At the rate at which we are going we need something like this to stop the rooting! Maybe the rooters can come to their senses when they realize that no one will cover their stealing. Do we really need the IMF to indirectly tell us that something is not right in our nation? The government has been borrowing and making deals every other day do you think that is what a responsible govt does? If you want to come out of the mess you should act responsibly. I find it very strange that we as a country have gone to the IMF for a relief package of $1.3B. This is intended to both debt payment relief and budget support, I presume . 2.0 Construction of the Ndola Airport at around $500m – this is without any positive air traffic analysis to support such a colossal investment. You will need about a million plus passengers for this kind of investment. It is like planting flowers and hoping the bees will show up. that we are asking from IMF. This reckless expenditure and the destruction of democratic support institutions like ACC, DPP’s office and the Judiciary have contributed to the IMF’s refusal. We have an accidental president who by his own confession had no plans for the country and to echo PILATO’s words , a bunch of petty thieves in suits running the country. The result is apparent for all to see – massive looting of public resources! Where is Mushota the die PF stalwart on this issue, or has he/she decisded to conveniently not comment on this article. Even I cannot lend money to these jokers.Well done IMF! Pls don’t give any loan to this govt after all lungu said he does not need them. So why are they worried and continuing to hold talks with an IMF u don’t need? Dear friends of Zambia. Please brace your selves for international fund sharks as Lungu sha gets more desperate. He is going to China for a 2Billion loan. The Chinese will point at a Mine and will get it for song. We all know tgat we messed up as a country with those Euro bonds. However, that is why we need help now. And that is the job of IMF to bail out members provided they commit to resolving their problems. IMF does not let you collapse befire helping, because it is more costly that way. Demons and UP.NDonkeys are the same thing. Bafi mwenafye pali plot 1 mpaka U4 engile, never mind that he is very blank about governing. Muli bapuba bonse imwe wishing your own country to fail politics aside. Lord Jesus, God of Ibrahim, God of Jacob. God of David, you delivered the Israelites we believe you can deliver Zambia. We thank you for this spiritual intervention. We surely don’t need that money to sell our sovereign land. Lord we bind any forces that will try to reopen the negotiations that the talks collapse forever in the name of Jesus we ask.. we know our true living God is on Zambia’s side and it’s citizens. Lungu, Lungu, Lungu!! How many times did I call you?! That $42 million is a bummer. Fire 7 ministers and cut expenditure. No more free cell phones. tell Lungu to cancel the fire truck purchase I know a man who can get you the same trucks for $19.99million! !